the buzzing capital of Scandinavia. Exhibition Dates: 14-16.02.2014, venue Globe Arenas, Annexet. 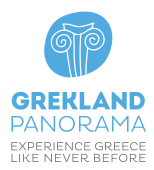 traditional Greek gastronomy, tastings and more. and this is why we have scheduled a number of fun events, activities and contests for everyone.